An amazing class where I got to learn a lot! Irving, a principal city located in the Dallas County, Texas and also recognized as the thirteenth most-populous city in the United States. The city is home to a number of industries and some of the sizable ones are Banking, Technology, Manufacturing, and Communication. 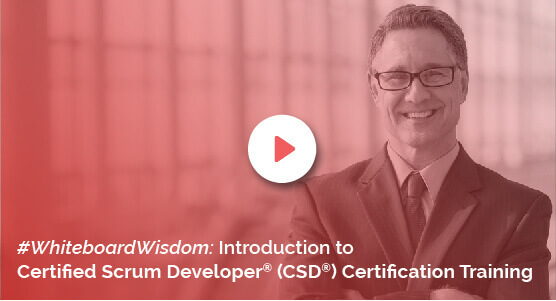 As the industries continue to grow the need for professionals in various sectors is on the rise and to cater to such needs the Knowledgehut Academy introduced the CSD certification in Irving. The CSD training in Irving is a 5-day program guided by seasoned trainers. Introduction to the basics of CSD marks the beginning of the course. The CSD elective topics such as Acceptance Test Driven Development, Behaviour Driven Development, Gherkin, Fitnesse and Selenium are also part of the syllabus. The training will inculcate the aspirants with the concepts like SOLID design principles, learning of various patterns and collaboration skills. The CSD course in Irving will end with discussions on Scrum topics on Continuous Testing, Inspection, so on and so forth. Comprehensive lectures, practice sessions, well-designed workshops are the highlights of CSD certification in Irving. The inclusion of the examination fee in the course fee and a downloadable e-book is an added advantage. Enjoy 100 days of free access to Agile and Scrum e-learning courses. Innovative games on Scrum, multiple TDD and coding practice are some of the activities that take place during the workshops, which helps you in practicing the concepts learnt. The Certified Scrum Developer training in Irving by KnowledgeHut institute’s training methodology, services play a vital role in transforming an aspirant into a true professional. To explore more about Certified Scrum Developer certification in Irving, register for a demo session.